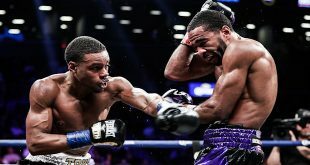 Last night at the Patrick Charbonneau Centre in Montreal, undefeated super middle prospect Jean Pascal enjoyed a successful coming out party in outpointing a game but overmatched former middleweight world title challenger Kingsley Ikeke. 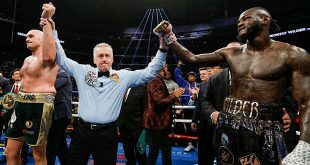 Pascal spent the early portion of the bout on the defensive as the towering Ikeke looked to press his less experienced opponent but the native Nigerian was counterpunched effectively by the quick handed Pascal. As the rounds went on, Pascal became more confident and began to strafe Ikeke with startling two handed combinations that the Toronto man simply couldn't stop. Ikeke never stopped trying and was effective in short sequences but the youth and quickness of Pascal was too much for the former middleweight to overcome, particularly after a long period of inactivity following his unsuccessful bid at the vacant IBF 160 lb crown in 2005. 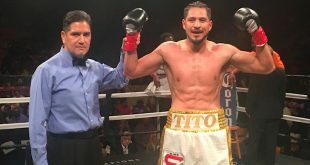 Pascal hurt Ikeke in rounds seven and nine but was not able to finish the 34 year old African and the bout ended after 12 rounds with the local man declared the winner by scores of 118-110, 117-111 and 116-110. Pascal improves to 18-0 (13) while Ikeke drops to 23-3 (13).